You work hard to care for your lawn and garden, so the last thing you want to see are invasive weeds. These unwanted plants deplete the soil of vital nutrients, leaving your shrubs, flowers, and grass underfed and looking unkempt. Learning about your weed control options can help you improve your lawn care routine and protect your wanted plants. When it comes to fighting weed growth on your property, there are several methods you can try. Each of these methods has an organic approach, which relies on natural ingredients, and an inorganic approach, which uses processed or chemical components. Contact methods of weed control offer a quick solution to stubborn weeds. Inorganic chemical contact treatments kill weeds upon application, as do most natural remedies such as white vinegar solutions. Contact weed killers destroy individual plants only and are best for annual invasive species. 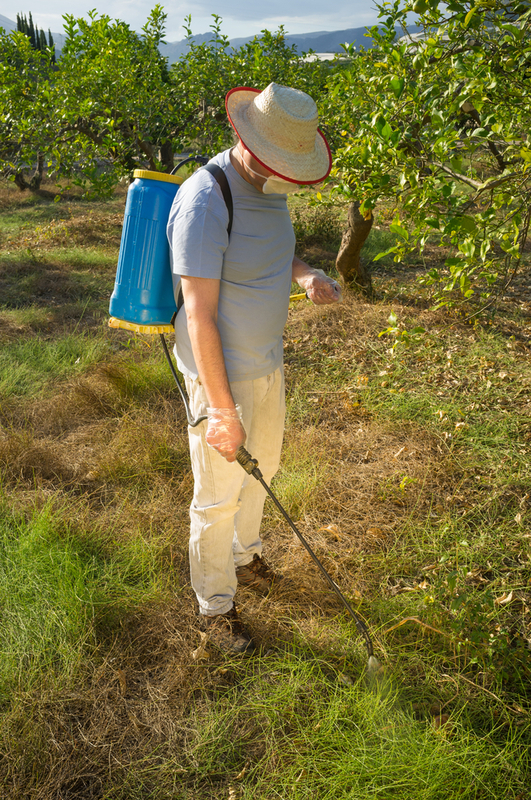 Residual weed killers poison the soil, so they are recommended for targeted use along walkways and paths instead of vegetable and flower gardens. This type of chemical weed control interferes with seed germination and photosynthesis to keep invasive species from returning. Both inorganic and organic mulch provides effective weed control. The ideal organic mulch material is slow to decompose and will provide your lawn with nitrogen without seeding it. You can use leftover lawn care materials such as bark chips and grass clippings. The best inorganic mulches, such as newspaper, do not overheat the soil or affect healthy root systems. Chemical and organic pre-emergence methods are applied before germination and flowering. This approach has no effect on established weeds but makes it difficult, if not impossible, for new ones to grow. Corn meal gluten provides organic weed control and functions as a fertilizer, making it ideal for protecting your wanted plants while you prevent invasive ones. Learn more about the best weed control method for your lawn and garden by talking with the knowledgeable team at Taylor’s Weed & Pest Control. These experts put their 40 years of combined experience to work for Hobbs, NM, families and business owners, so their properties stay green and beautiful. Call (575) 492-9247 to schedule service or visit the website for more information. Like the lawn care company on Facebook for more helpful tips.